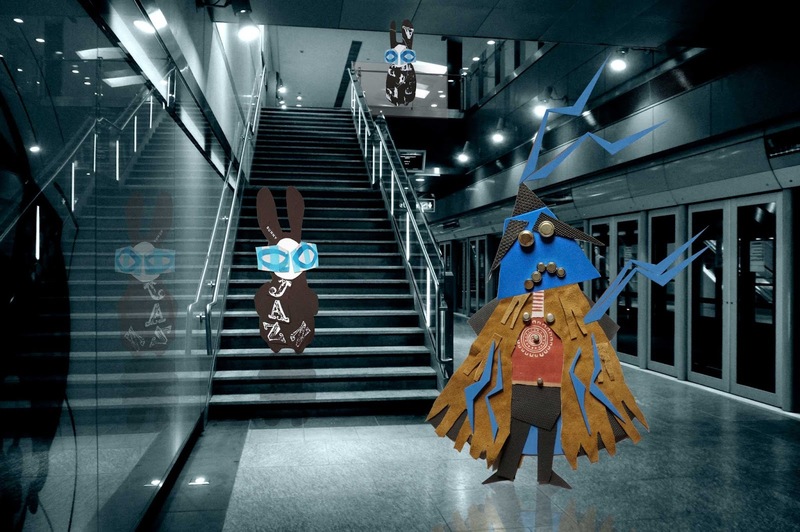 The Wabbit turned on his heel, then closely followed by the Shaman, he hopped down to the Metro. Wabsworth waited, then followed too. Something was afoot, because the Metro lamps owed more to moonlight than electricity. "The Wabbit appears unconcerned," thought Wabsworth, "so what would I do in his place?" His thoughts were interrupted as the Shaman's voice boomed through the station. "Is this your shed?" "This is my subway to my shed," replied the Wabbit. "Ah," said the Shaman, "the words of the Wabbit are written in the subway halls." "They almost certainly are," smiled the Wabbit, "no one dare remove them." "Take me to your shed!" yelled the Shaman. "Get me the antimatter!" "What colour would like?" chirped the Wabbit. The Shaman was dangerously angry. "What colours have you got?" "I have black, white or no colour at all," said the Wabbit. Now Wabsworth grinned since he knew the Wabbit was making things up as he went along. It was a game they played on long surveillance shifts, the winner being the one who could first anticipate a likely ending. So he knew what to do. Wabsworth quickly dismantled a power access cover and as the Wabbit lifted a paw, all the lights dimmed. "Was that you?" asked the Shaman. The Wabbit shook his head. "Just a bit of dirty power. We'd better grab a conductor ..."